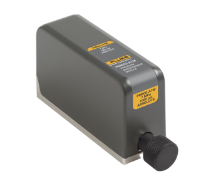 The reliable 6270A Pressure Controller/Calibrator lets you calibrate a wide range of pressure gauges and sensors from very low pressure to 20 MPa. It’s also easy to maintain! 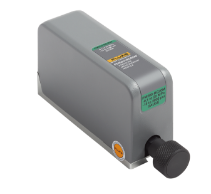 The 6270A is now available with three types of pressure measurement modules, giving you even more ways to balance accuracy and workload coverage with expense. 0.02 % FS specification makes it ideal for calibrating or testing pressure dial gauges, lower accuracy transmitters, or pressure switches. Promotion: Purchase a 6270A Calibrator and a PM500 module and get one additional PM500 module for half the price. Action is valid till 31.12.2018. 0.01 % reading measurement uncertainty from 50% to 100% for most ranges provides 2x the accuracy at full scale and 4x the accuracy at mid-scale compared to the PM200. 0.01 % reading measurement uncertainty from 30 % to 100 % of the modules’ span allows for extremely wide workload coverage. 21 measurement ranges from -100 kPa to 20 MPa (-15 to 3000 psi) enable you to cover a basic workload or pressure gauges and sensors. More than 45 ranges, from -100 kPa to 20 MPa (-5 to 3000 psi) to choose from. 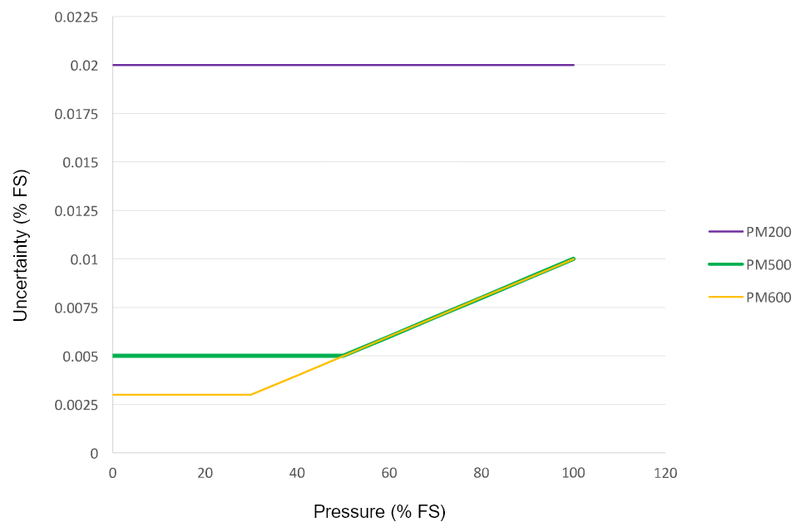 More ranges give you more flexibility to match pressure range to device under test. 14 ranges from -100 kPa to 20 MPa (-5 to 3000 psi) including modules that are inherently absolute mode and gauge mode. The absolute mode modules include an onboard barometer to provide dynamic compensation of changes in atmospheric pressure, so you can use the modules in both absolute and gauge mode. Economic price point means you can afford more modules, including backup modules that you can swap out to avoid downtime during module calibration. You can get the improved accuracy and flexibility of the PM500 for almost a third of the price of a PM600 module. The PM600 modules are premium solutions for calibration professionals who need the best uncertainties. Contact a pressure calibration expert.